Fun to catch, beautiful to look at, and great to cook! 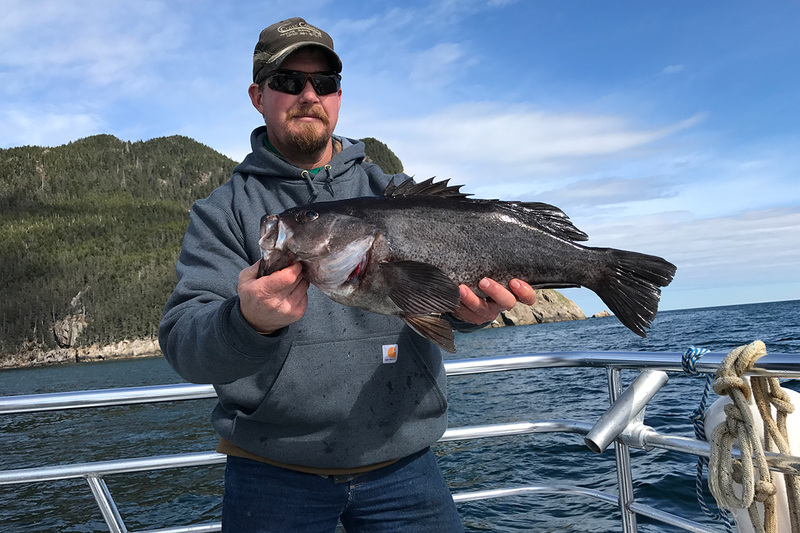 Our halibut and ling cod charter trips are very productive for Yelloweye rockfish. 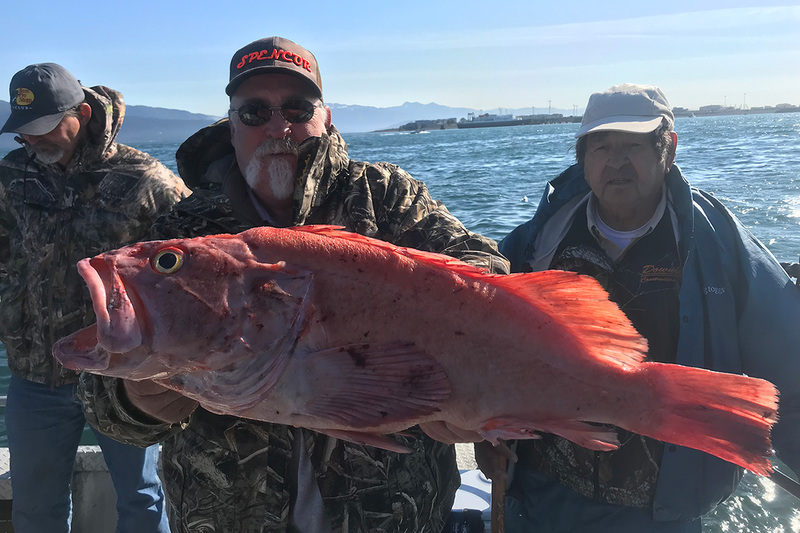 Along with the excitement of landing a barn-door halibut or monster ling cod, its fun to bring one of these beautiful trophies home. Its even better to enjoy one at your dinner table! 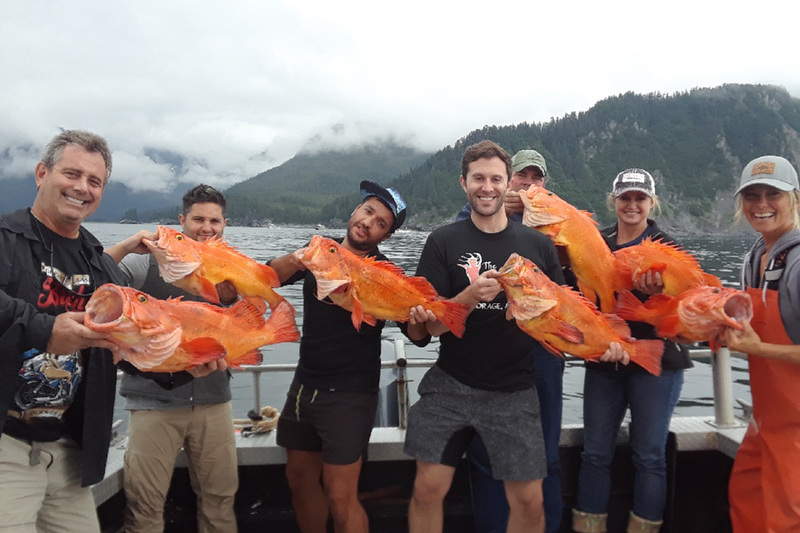 Alaska Yelloweye rockfish, otherwise known as red snapper (but not to be confused with the red snapper found in the Gulf of Mexico), is a deepwater whitefish recognized by its brilliant orange color and yellow eyes. Their fins may be black at the tips. Juveniles have two light bands along the side – one on the lateral line and a smaller one below the lateral line. They can grow up to 36 inches. 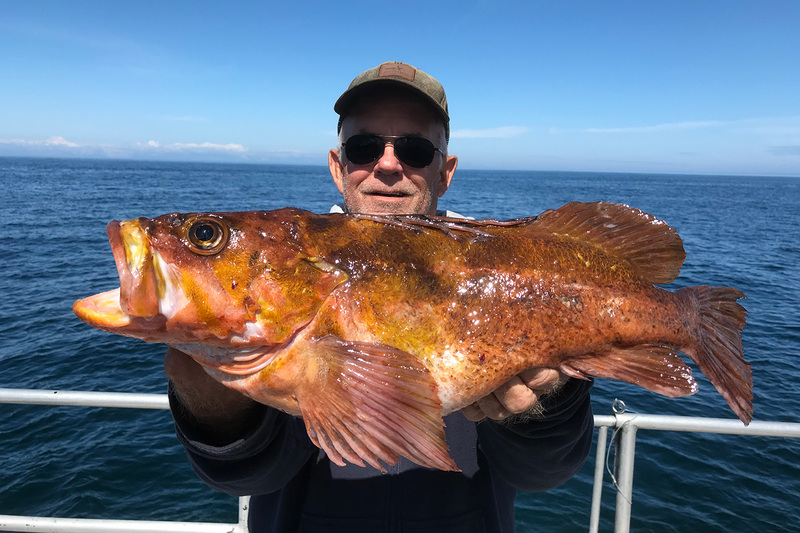 Since they live at about the same depth, and in the same rocky structure, as ling cod and halibut, we catch rockfish on our deep water charters.